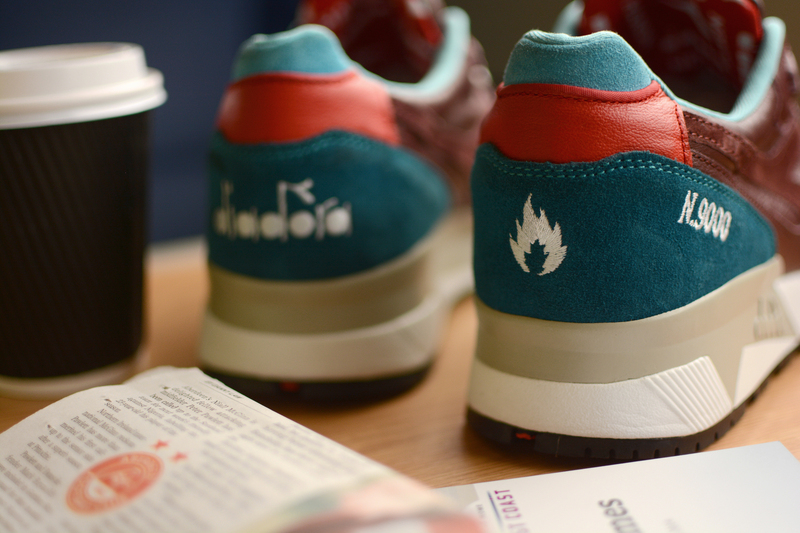 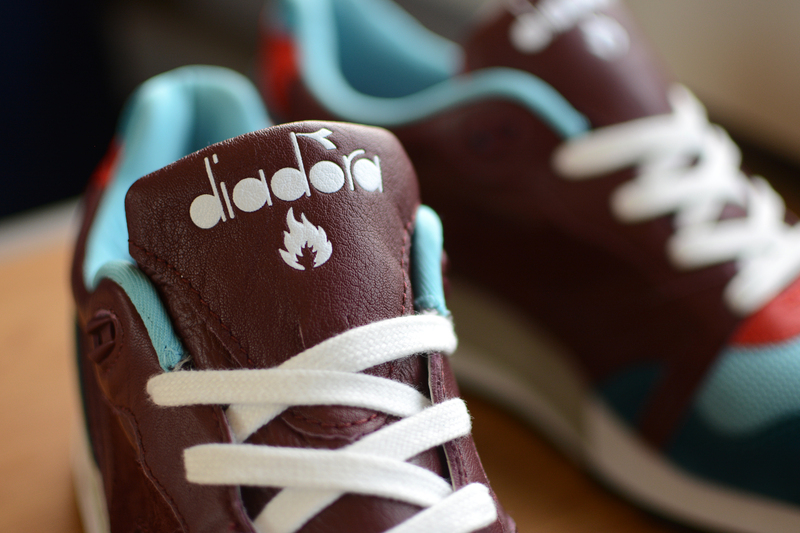 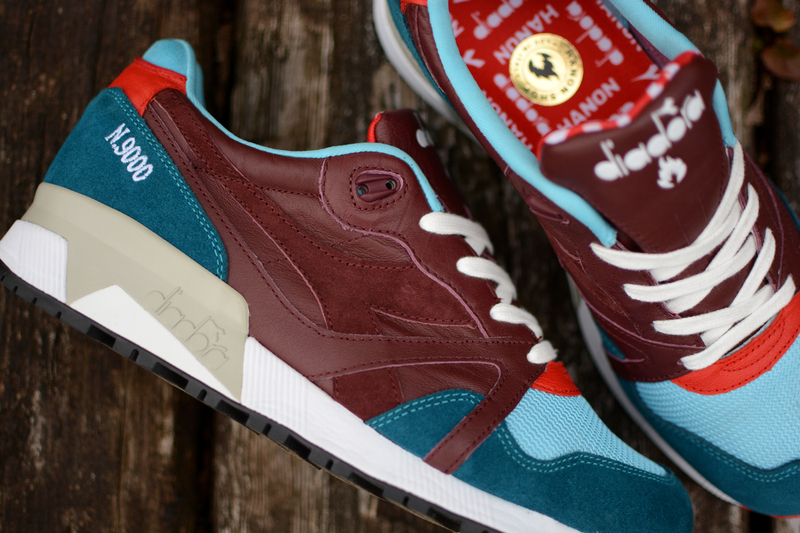 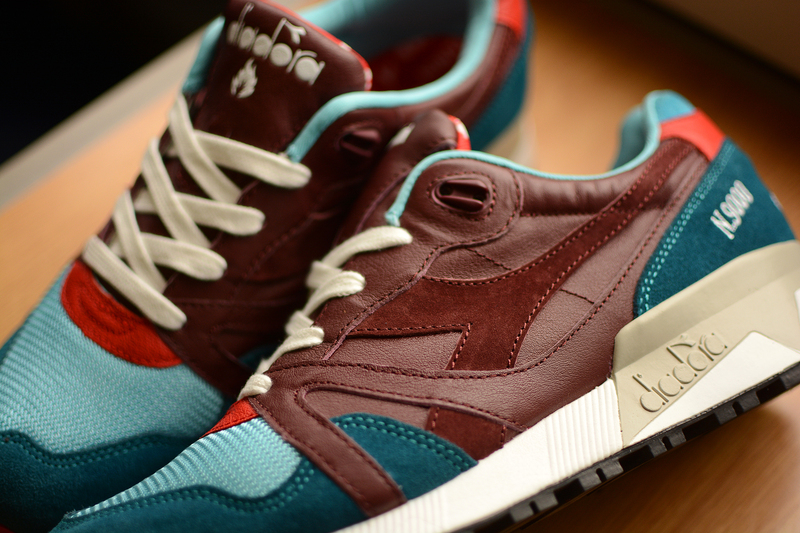 Next Saturday, 31st of May, sees the release of the Diadora x Hanon Shop N.9000 dubbed ‘The Saturday Special’ – people from the UK will be familiar with the term and know it to be a public transport service which ran throughout the UK in the 80’s! 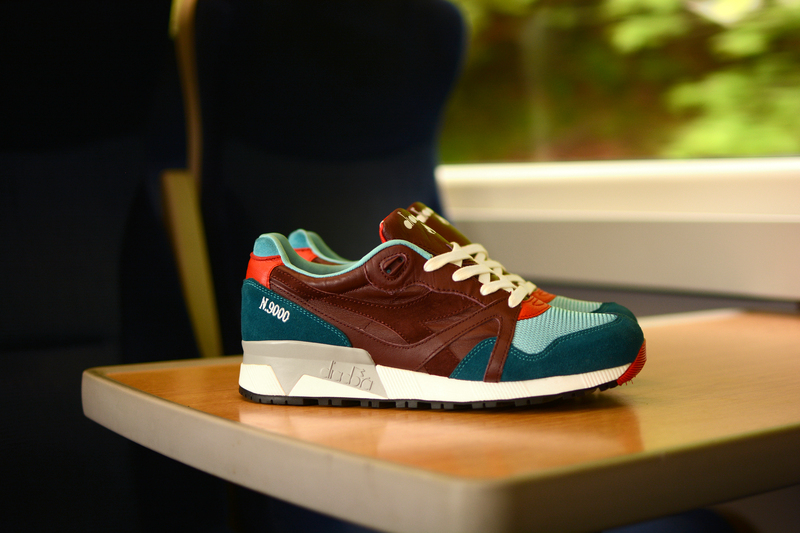 Focussing on the impact of Italian sportswear and their exquisite use of material treatments on both football boots and tennis shoes, Hanon have put their take on this shoe. 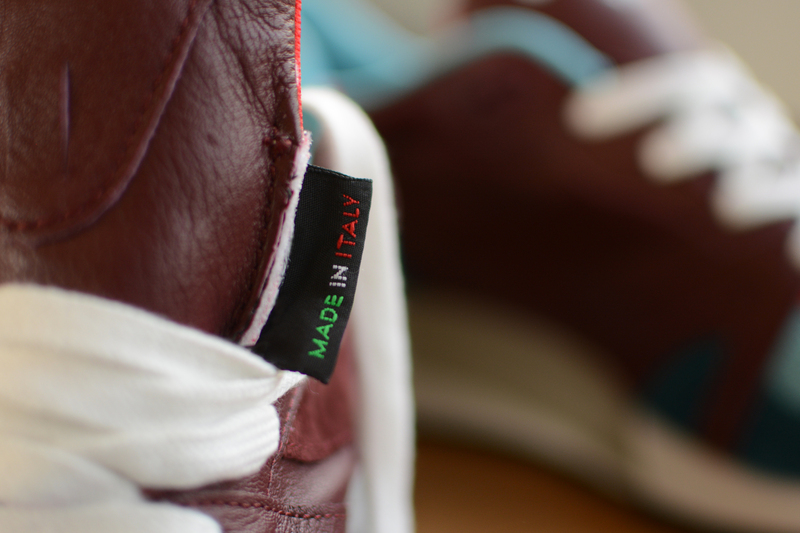 – hand crafted in Italy, kangaroo leather upper, silky pig and bovine suede and closed mesh which is reminiscent of the first edition of this shoe. 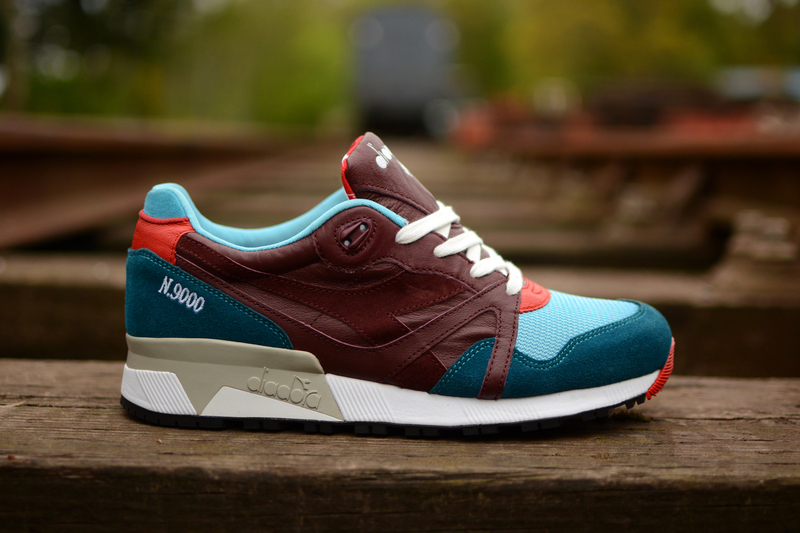 The colour palette of the shoe is inspired by 80’s trains and buses, the upper features dark marine and burgundy, with red and sky blue accents! 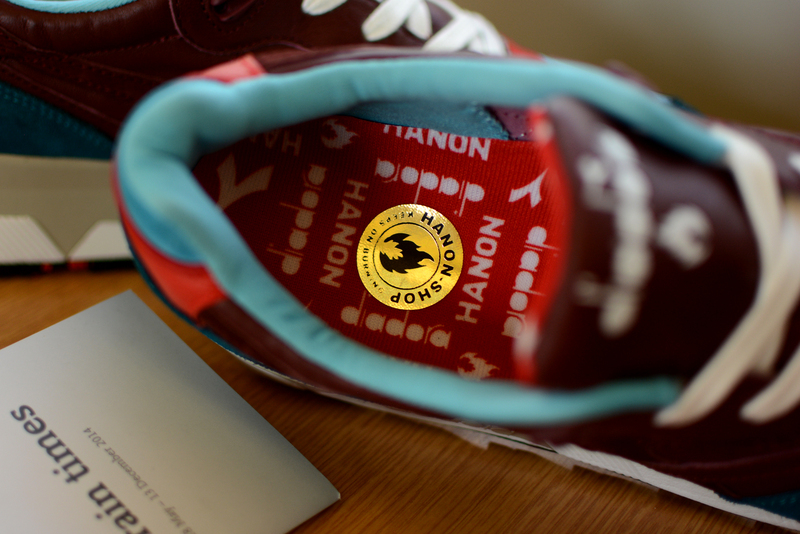 As always, the guys at Hanon never fail to impress with their details. 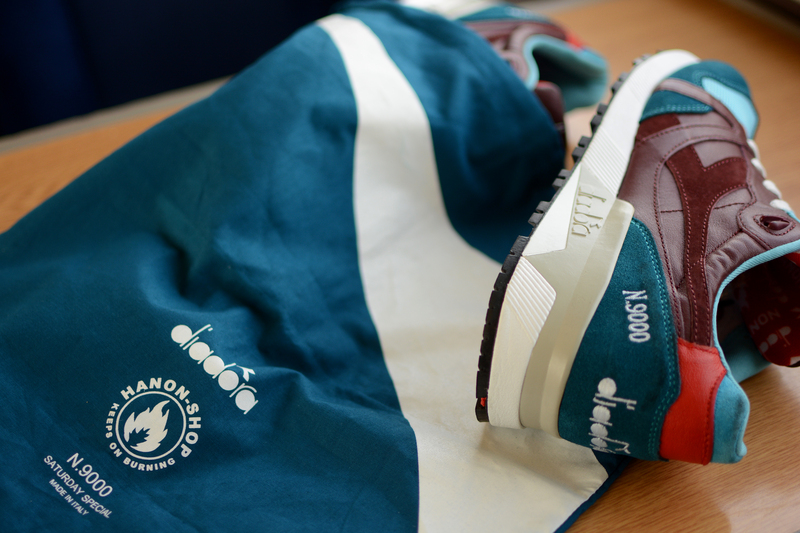 – old school multi print on the in sock and tongue backer, with dual branding embroidered on the heel and tongues These shoes will come with three sets of laces and an additional dust bag.